We invite you to explore this modern home designed by Award Winning Merrill Elam Architects set among the trees with a birds eye view of Horseshoe Pond and Lords Hill. The natural surroundings were an inspiration for this design. The 2.8 acre wooded lot lends itself to the quietness of the area. This modern home is spacious yet intimate. The living room features a corner fireplace clad in zinc. A second fireplace can be found in the Master bedroom flanked by windows on either side letting in daylight and views of the woods outside. Although the house has an edgy modern look it was built to blend in to the surroundings letting in light and warmth and a feeling of perching along the forest floor. Follow the path down to the dock set on tranquil Horseshoe Pond. Northern light shines in on the detached Artist studio. Come experience tranquility and quiet within the White Mountain National Forest while still close to shopping, skiing and fine dining. 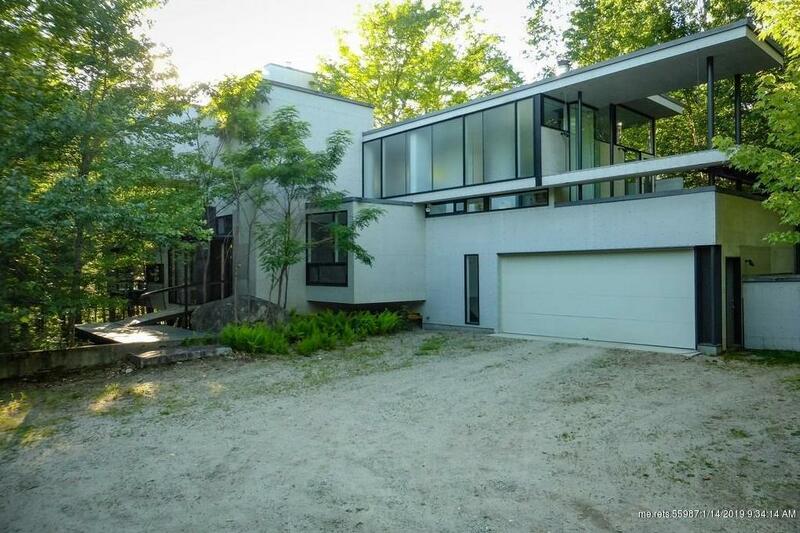 314 Horseshoe Pond Road (MLS #1358542) is a contemporary, multi-level single family home located in Stoneham, ME. This single family home is 3,185 sqft and on a lot of 124,582 sqft (or 2.86 acres) with 2 bedrooms, 3 baths and is 22 years old. This property was listed on 01/14/2019 and has been priced for sale at $1,890,000.